FRIDAY, March 1, 2019 (HealthDay News) — It may be possible to restore brain cells damaged by Parkinson’s disease and reverse a patient’s condition, something no current treatment can do, according to British researchers who conducted potentially groundbreaking clinical trials. They cautioned the trial was small — just 41 patients — and the research is still in its early days. But the results of the approach, which delivers special “growth factor” proteins to restore failing brain cells, are very promising. “The spatial and relative magnitude of the improvement in the brain scans is beyond anything seen previously in trials of surgically delivered growth-factor treatments for Parkinson’s,” principal investigator Dr. Alan Whone said in a news release from Parkinson’s UK, which helped fund the study. “This represents some of the most compelling evidence yet that we may have a means to possibly reawaken and restore the dopamine brain cells that are gradually destroyed in Parkinson’s,” he said. “While on some measures this biological change did not correlate with improved symptoms, on other ‘secondary’ goals there was indeed a highly positive effect on patients’ lives,” noted Dr. Michael Schulder. He is vice chair of neurosurgery at North Shore University Hospital in Manhasset, N.Y.
“This trial should be the beginning and not the end of further efforts to harness the regenerative potential of [this therapeutic approach] to cure people with Parkinson’s disease,” Schulder said. In the trial, Whone and his colleagues focused on a naturally occurring protein in the brain called Glial Cell Line Derived Neurotrophic Factor (GDNF). It was thought that boosting GDNF in brain tissue might help regenerate dying brain cells in people with Parkinson’s — and thereby reverse the condition. Of course, the human brain is sequestered from the rest of the body by a natural defense called the blood-brain barrier, so delivering GDNF to the brain poses a problem. In the trial, the British team used robot-assisted surgery to place four tubes into the brains of six Parkinson’s patients so that GDNF could bypass this barrier and be infused directly to affected brain areas. Once the safety of the procedure was ascertained, the trial was expanded to include 35 more patients. Half of these patients received GDNF and half received a placebo. After the first nine months, patients in both groups were then offered GDNF for a further nine months. At the nine-month point of follow-up, trial results were mixed. While there were some encouraging signs of improvement in patients who received GDNF, there were no significant differences between them and the placebo group on any assessments of Parkinson’s symptoms. However, a comparison of brain scans conducted before the trial and then nine months after showed that GDNF did seem to be healing the damage to dopamine-producing brain cells. Nine months after therapy, patients who received GDNF experienced a 100 percent improvement in a key area of the brain affected by Parkinson’s — suggesting the treatment was starting to reawaken and restore damaged brain cells, the researchers said. The real change came 18 months after the treatment, when all participants had received GDNF. At this point, both groups showed moderate to large improvements in their Parkinson’s symptoms, compared to before the study. This indicates that the treatment might indeed have long-term beneficial effects, Whone’s team said. However, Whone cautioned that at the 18-month point there was no longer a comparison group (both groups were now receiving GDNF). Also, the trial was no longer “blinded” — meaning all of the patients now knew they were receiving GDNF. That makes it tougher to rule out a placebo effect. Therefore, the findings at 18 months need to be viewed with caution, the researchers said. 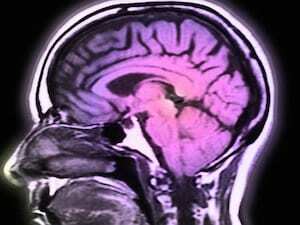 As to why symptoms didn’t seem to be affected by the therapy at nine months, “it may be that the effects on symptoms lag behind the improvement in the brain scans, so a longer double-blind trial may have produced a clearer effect,” Whone suggested. “It’s also possible that a higher dose of GDNF would have been more effective, or that participants at an earlier stage of the condition would have responded better,” he theorized. “This is why it’s essential to continue research exploring this treatment further — GDNF continues to hold potential to improve the lives of people with Parkinson’s,” Whone added. “Brain imaging showed that the GDNF appeared to have brought about regeneration of the key cells whose death leads to the progressive symptoms of Parkinson’s disease,” he said, so further trials are warranted. Arthur Roach directs research at Parkinson’s UK. In the news release, he said that “while the results are not clear-cut, the study has still been a resounding success. “It has advanced our understanding of the potential effects of GDNF on damaged brain cells, shown that delivering a therapy in this way is feasible and that it is possible to deliver drugs with precision to the brain,” Roach said. The results were published Feb. 26 in the journal Brain and the Journal of Parkinson’s Disease. The Parkinson’s Foundation has more on Parkinson’s disease.